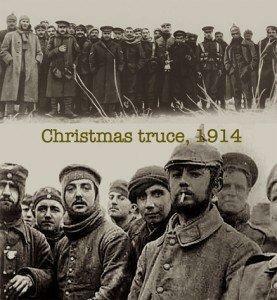 The Christmas Truce of 1914 during the First World War is a profound legacy of Peace, as foe greeted friend with hymns of Silent Night, Holy Night. Hosanna rang out from the sacred trumpet as the Star of Bethlehem hovered over no-man’s land beckoning comrades to follow it. Laying down their weapons, they arose from the trenches bearing gifts of food, trench art and smokes. In holy silence, brothers marched towards the space that once divided them. Halleluiah! Halleluiah! A hallowed night indeed as good will toward men echoed in the trenches. 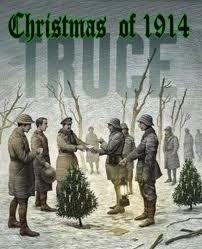 The Christmas Truce of 1914; a holy reminder of our Canadian Forces as we pray, “Thank you for our nations’s Peace.” Halleluiah! Peace my friends, Merry Christmas! Jane. Called to stand with those who serve.